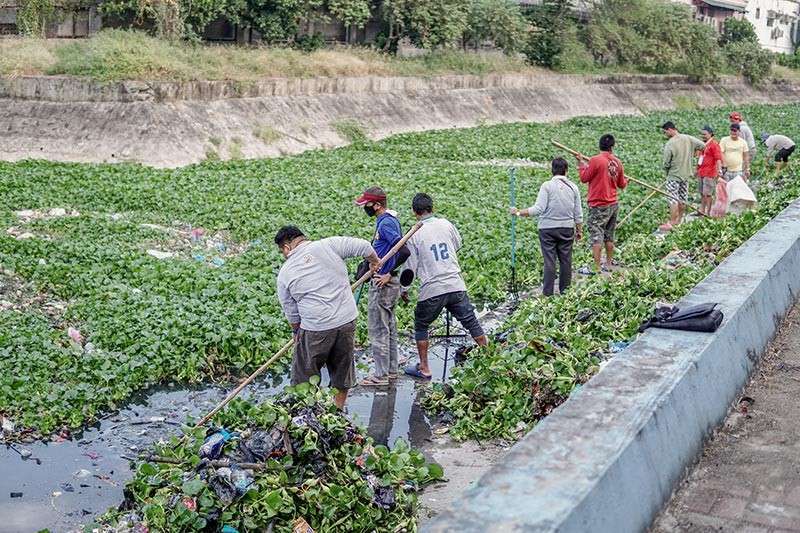 THE City Government of San Fernando led by Mayor Edwin Santiago on Sunday, January 27, showed their support to the rehabilitation of the Manila Bay by cleaning the San Fernando River. The City Environment and Natural Resources Office (CENRO) together with the River Patrol group, and Department of Interior and Local Government (DILG) City Local Government Operations Officer Irinea Bacani participated in the said cleanup. Santiago lauded the participants who took the initiative in giving support in the rehabilitation of the Manila Bay and contributed in the activity. "We really need to take care and protect our environment and have to sustain its natural glory. We have to respect its existence since we humans and the environment affect one another. We need the environment's organic materials such as water, oxygen, plants, food, and the like while the environment just needs to be taken care of by us. Once the environment's not taken care of, how can we survive?" Santiago said. Simultaneous cleanup activities were also conducted in some local government agencies in Metro Manila and Central Luzon to express their support to the government’s effort to rehabilitate Manila Bay in compliance with Memorandum Circular No. 2019-07. In Guagua, the Department of Environment and Natural Resources (DENR) led the start of the rehabilitation of Manila Bay under the theme "Battle for Manila Bay" with a cleanup drive covering its tributaries. DENR led government agencies and other participants in the cleanup drive along the sections of Dock Island in Barangay Santa Filomena. The DENR aims to reduce the coliform level in Manila Bay and in all estuaries and creeks. The DENR aims to reduce the coliform level in Manila Bay to less than 270 most probable numbers (MPN) per 100 milliliters (ml) and in all esteros to 100 mpn/100ml. A considerable portion of the water that drains into Manila Bay comes from Central Luzon provinces through river and tributary water systems. Earlier this month, President Rodrigo Duterte approved the Manila Bay rehabilitation plan proposed by the DENR. He allocated P42.95 billion for the implementation of the project within three years. Aside from the DENR, other departments tasked in the Manila Bay cleanup are Tourism, Interior and Local Government, Social Welfare and Development, Trade and Industry, Defense, and Science and Technology. The event was attended by PENRO Pampanga Laudemir Salac, DILG Pampanga Director Myrvi Fabia, Mayor Dante Torres, and Pampanga Environment officer Art Punsalan among others. In the entire Central Luzon, the rehabilitation was launched simultaneously in the towns of Obando, Mariveles and Guagua in Bulacan, Bataan and Pampanga provinces, respectively.